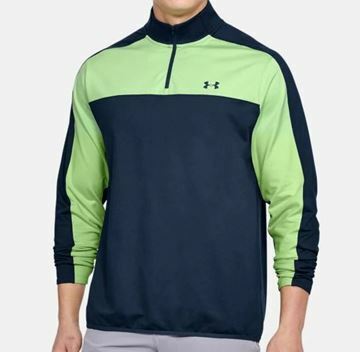 Extremely comfortable pullover with ColdGear fabric technology for superb breath ability and warmth. 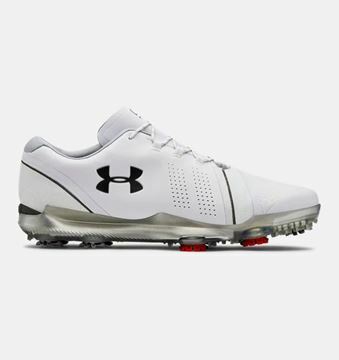 Lightweight with stretch areas for maximum movement. 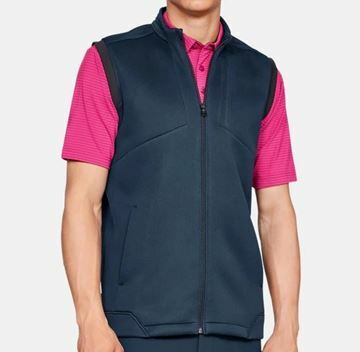 Black with a pink horizontal stripe, attractive looking and stylish polo shirt design. 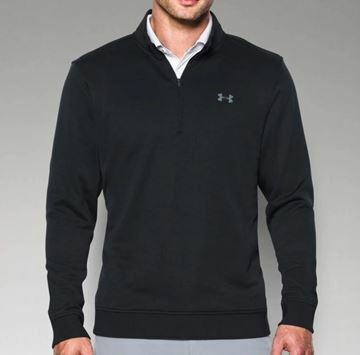 Stretch fabric and a loose fit mean this garment is extremely comfortable and breathable. 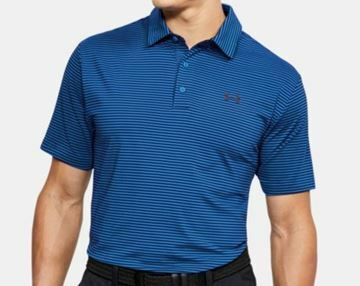 Performance polo shirt in blue. 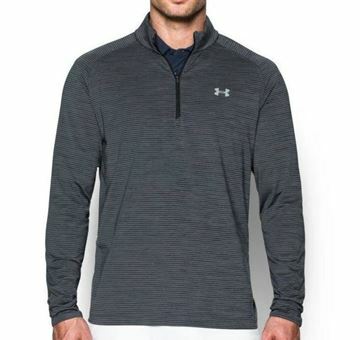 Lightweight and breathable with tech fabric designed to keep you sweat free and comfortable. 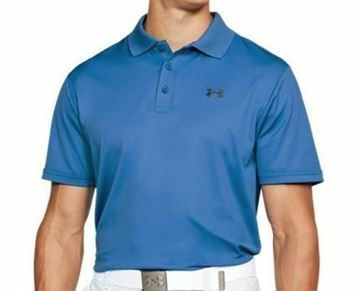 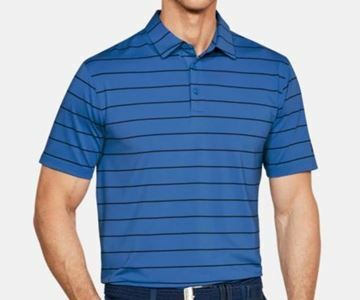 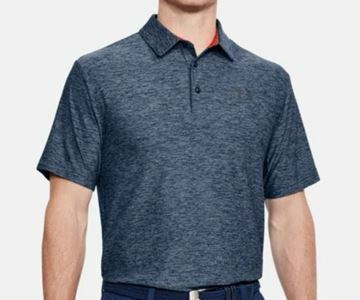 Plain blue polo shirt from Under Armour. 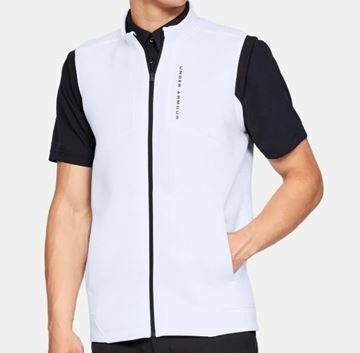 The performance range are made from high quality fabric that is lightweight, breathable and designed to keep you cool and dry. 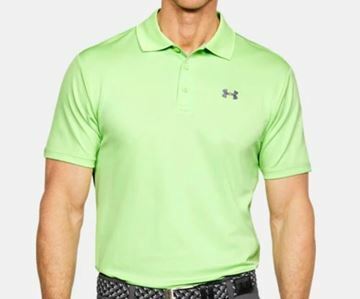 Bright green polo shirt that looks really colourful. 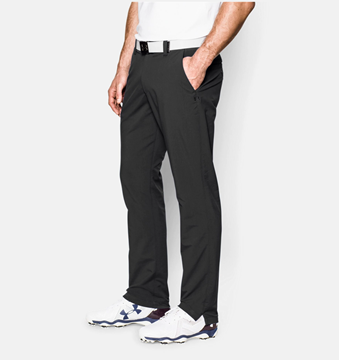 Lightweight, breathable and very comfortable. 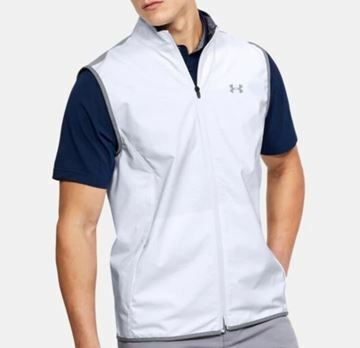 Keeps you cool and dry in warm conditions. 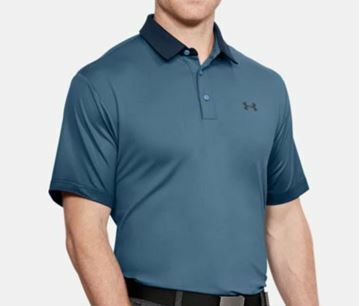 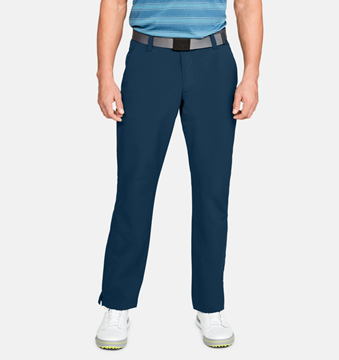 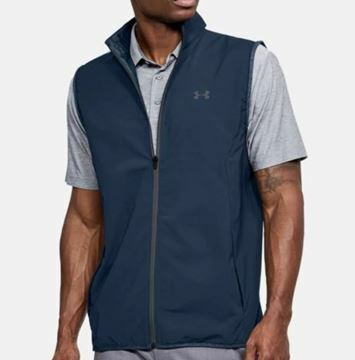 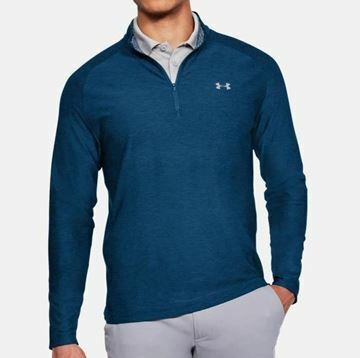 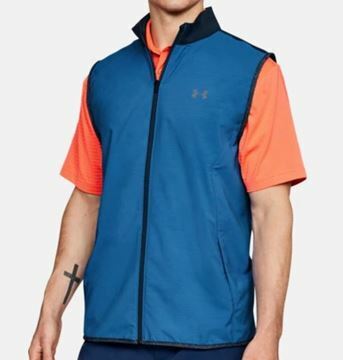 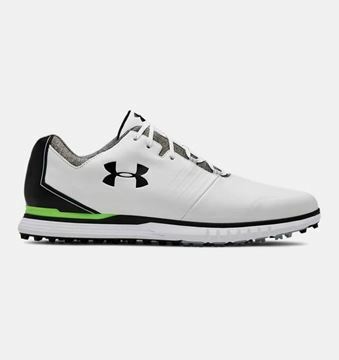 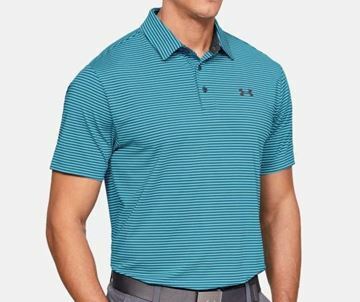 Under Armour performance fabric with moisture management technology designed to keep you cool and sweat free during your round of golf. 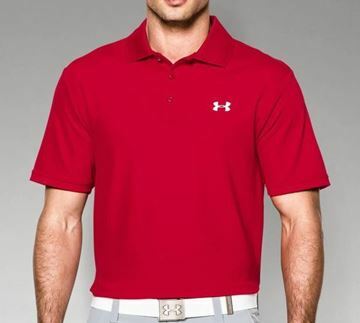 Bright and vibrant red polo shirt. 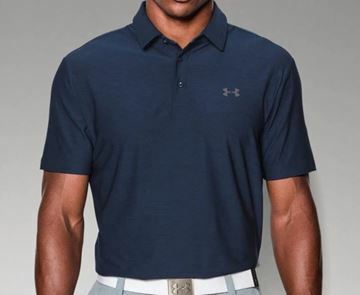 Under Armour performance fabric with moisture management technology, designed to keep you cool and dry. 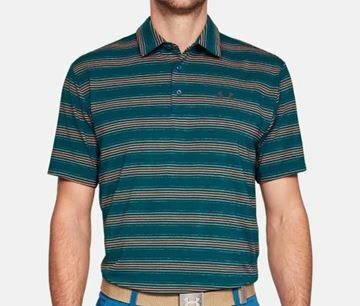 Loose fitting material that is lightweight and breathable. 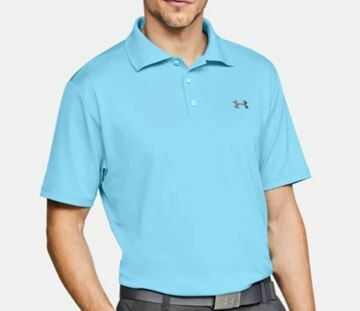 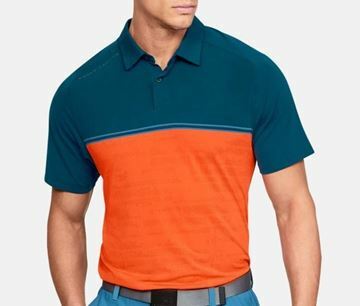 Attractive looking turquoise polo shirt made from the finest Under Armour performance fabric. 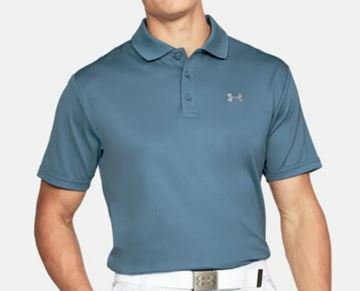 Lightweight, breathable and engineered to keep you cool and dry. 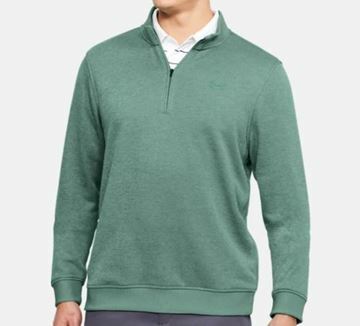 Lightweight and loose fitting, perfect attributes for a garment that is breathable and extremely comfortable. 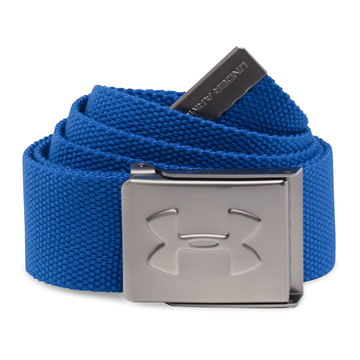 Offers you protection from the wind and also from the suns rays. 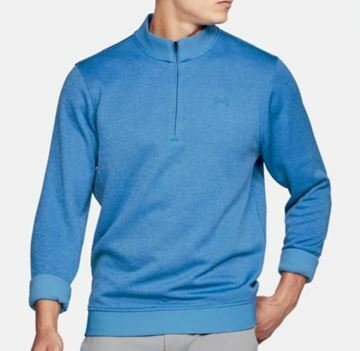 Light blue fleck design pullover. 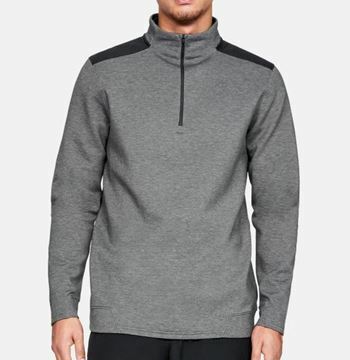 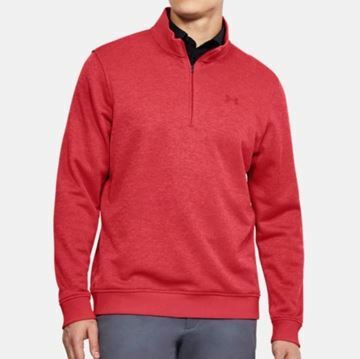 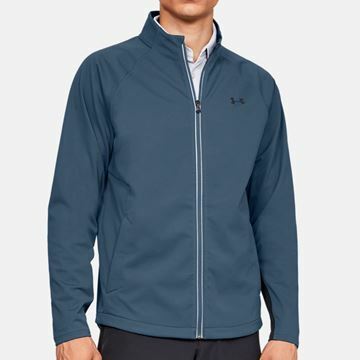 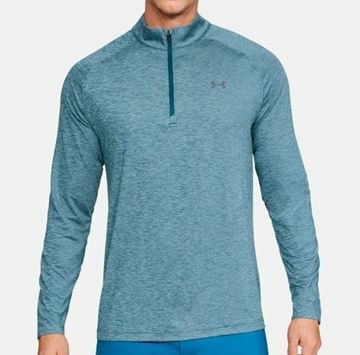 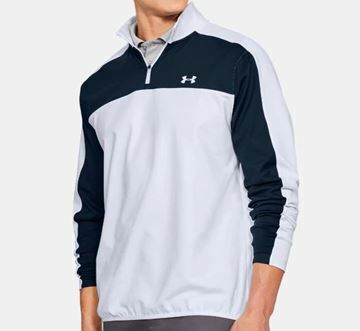 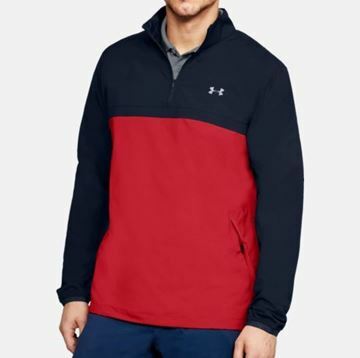 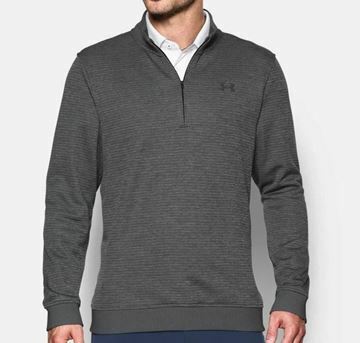 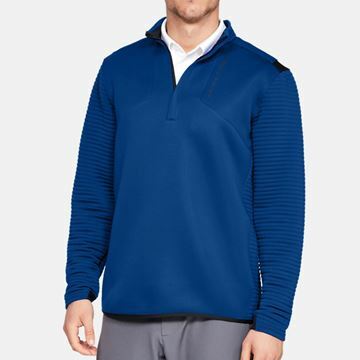 The Under Armour quarter zip pullover will keep you warm on cooler conditions. 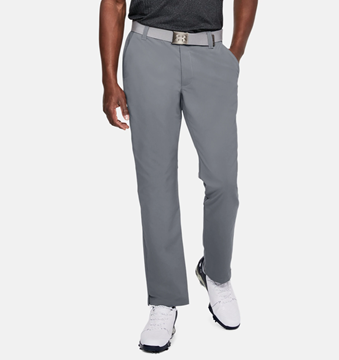 Performance stretch fabric that gives you complete freedom of movement. 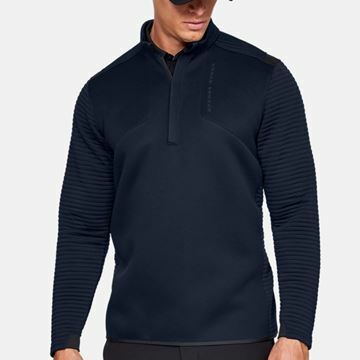 Smart looking sweater in black and grey, performance fabric that is anti pill and snag free keeping it looking better for longer. 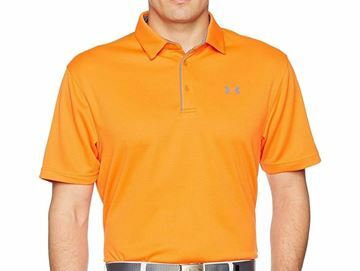 Moisture management technology also keeps you cool and dry. 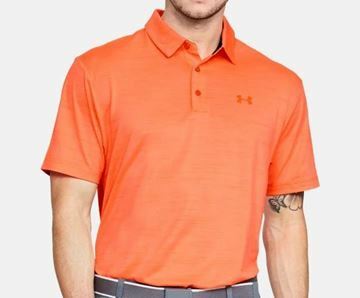 Loose and comfortable fit. 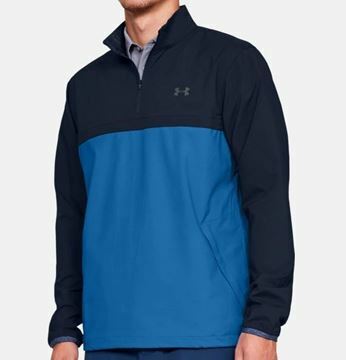 The Under Armour Playoff quarter zip pullover in navy, lightweight and breathable. 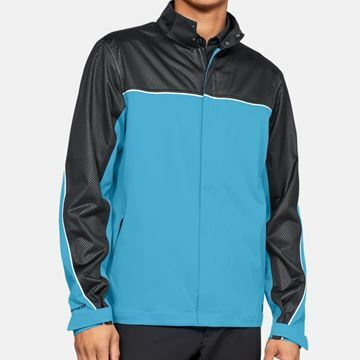 Great looking jacket with Storm technology fabric, full zip. 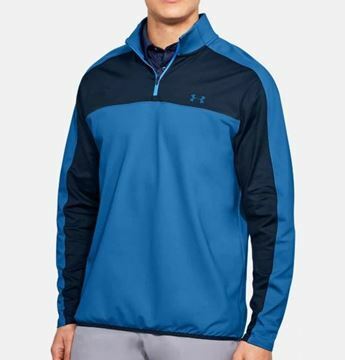 Water resistant, wind proof and breathable - These properties are ideal for a cold weather, but as well as this the Under Armour storm jacket is lightweight too. 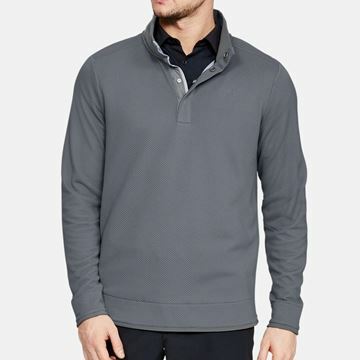 Heather storm sweater with a 4 button placket instead of a zip which works really well. 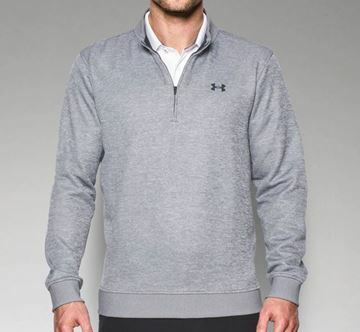 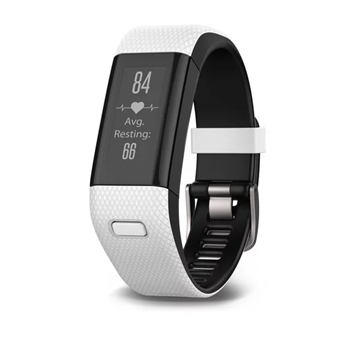 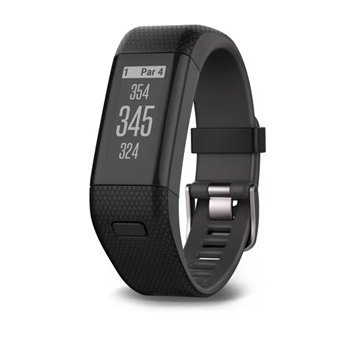 In all grey, looks smart and keeps you warm as well as being water resistant. 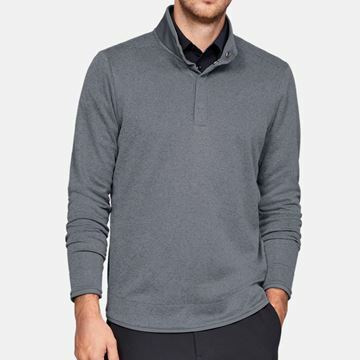 Great looking sweater with a 4 button placket instead of a zip which works really well. 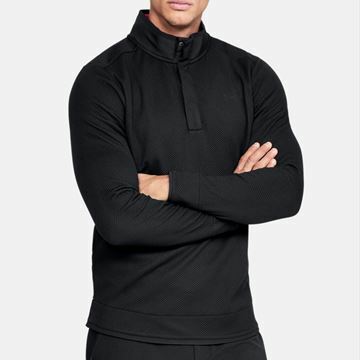 In all black, looks smart and keeps you warm as well as being water resistant. 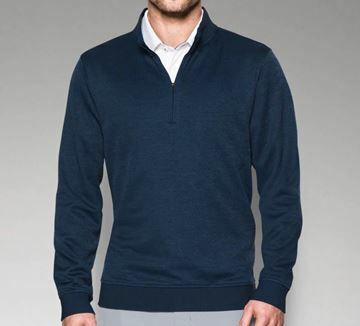 Great looking sweater with a 4 button placket instead of a zip which works really well. 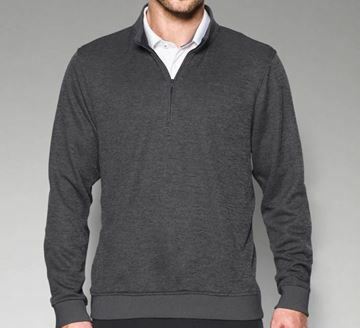 In all grey, looks smart and keeps you warm as well as being water resistant. 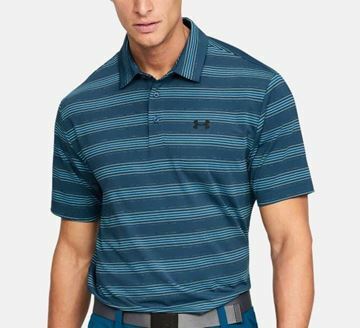 Great looking 2 tone colour scheme in blue and navy. 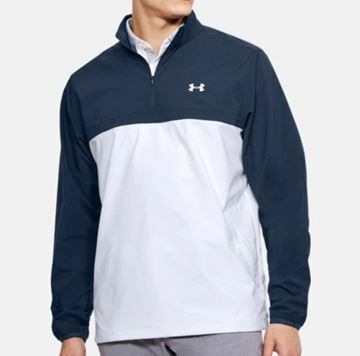 Loose fitting quarter zip pullover made from very comfortable and water repellent fabric. 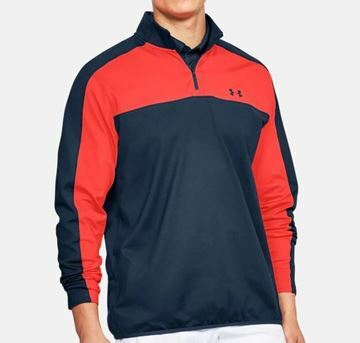 Beautiful looking pullover in navy and red. 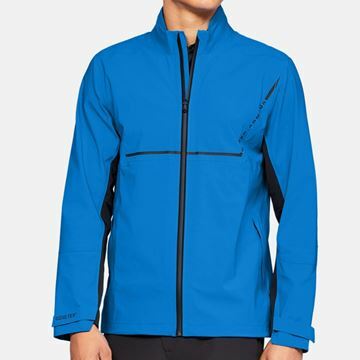 Made from performance storm fabric that protects you from the wind and is also water repellent. 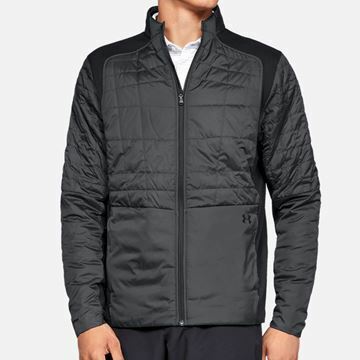 Storm technology fabric designed to keep you warm as well as being water repellent. 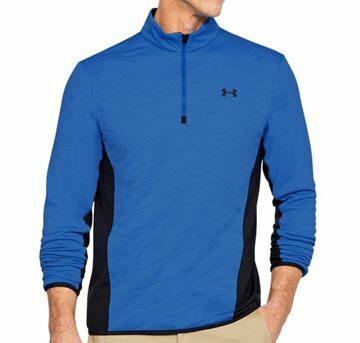 This garment is also lightweight and breathable which is ideal. 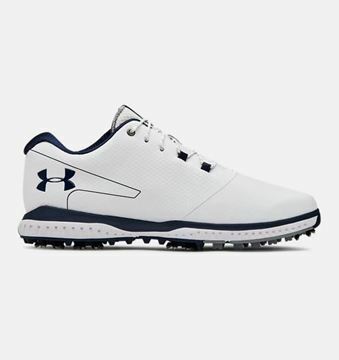 Nice looking colour scheme in white and blue. 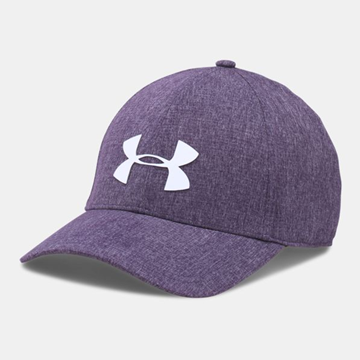 Dark purple cap from Under Armour. 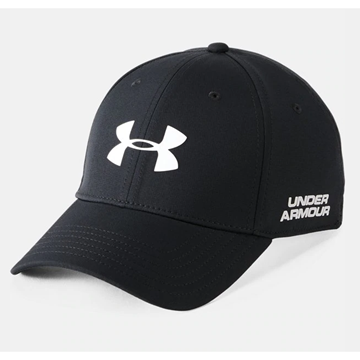 Driver 2.0 cap with the cool switch sweatband for a great fit. 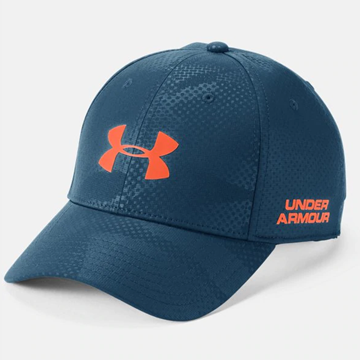 Armour Vent mesh panels make this cap extremely breathable which is essential when you are wearing a cap for long periods of time. 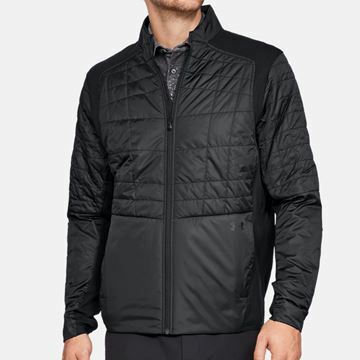 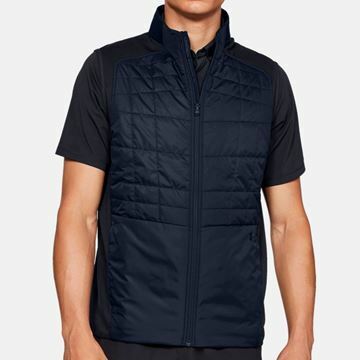 Lightweight WINDSTOPPER® construction delivers total windproofing with maximum breathability with a quilted exterior with soft, warm fleece lining. 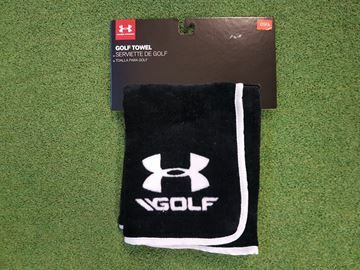 Cotton tri-fold towel in black with Under Armour logos. 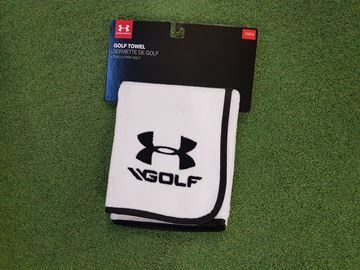 Cotton tri-fold towel in white with Under Armour logos. 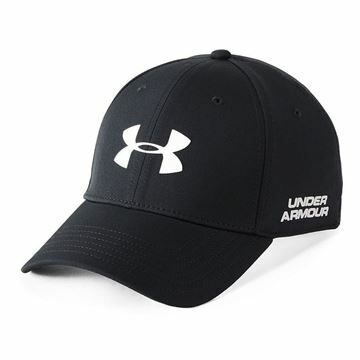 Classic looking beenie hat design in black by Under Armour. 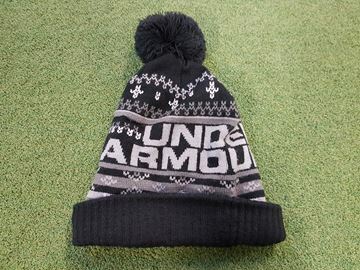 Keeps your head warm during the winter chill. 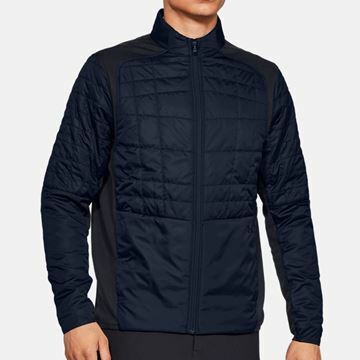 Most of you body heat leaves through your head, so keeping that warm goes a long way to keeping your whole body temperature up. 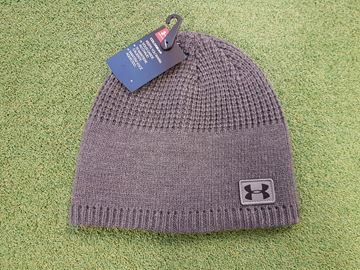 Classic looking beenie hat design in grey by Under Armour. 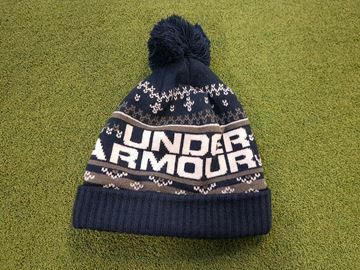 Keeps your head warm during the winter chill. 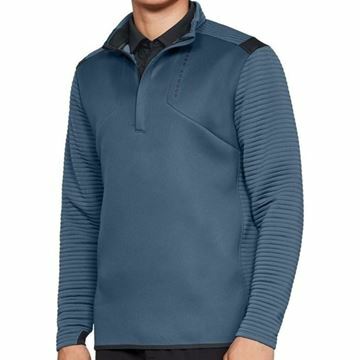 Most of you body heat leaves through your head, so keeping that warm goes a long way to keeping your whole body temperature up. 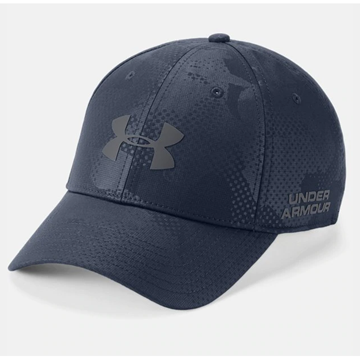 Classic looking beenie hat design in navy by Under Armour. 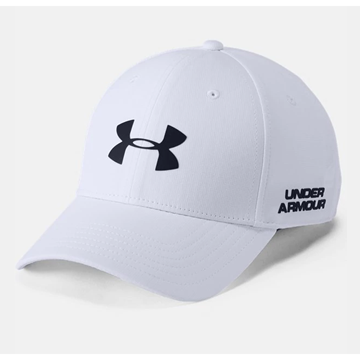 Keeps your head warm during the winter chill. 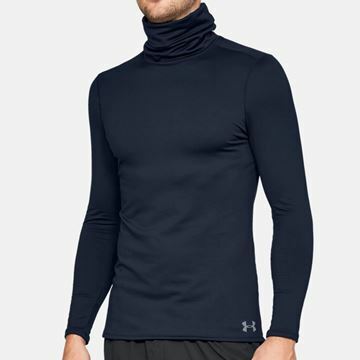 Most of you body heat leaves through your head, so keeping that warm goes a long way to keeping your whole body temperature up. 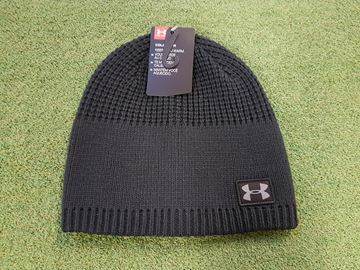 Retro winter design Under Armour pom pom bobble hat in black. 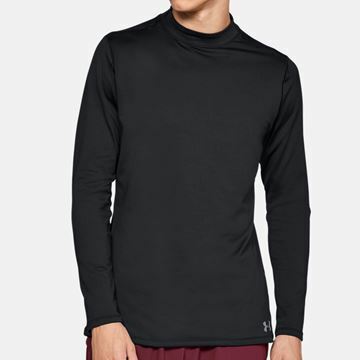 Very warm and comfortable, fights off the chill to allow you to keep playing! 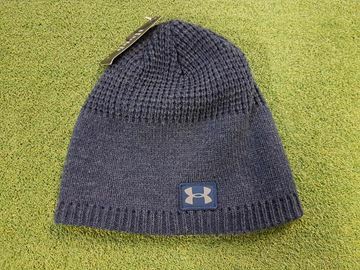 Retro winter design Under Armour pom pom bobble hat in navy. 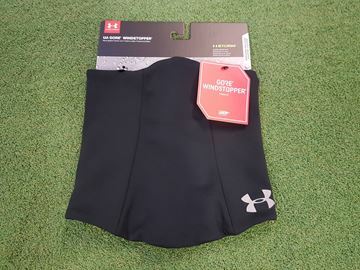 Very warm and comfortable, fights off the chill to allow you to keep playing! 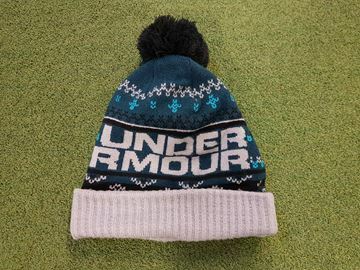 Retro winter design Under Armour pom pom bobble hat in teal. 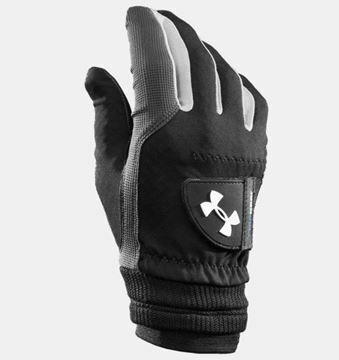 Very warm and comfortable, fights off the chill to allow you to keep playing!